Good Morning! I'm so happy that you're here for another sketch challenge. I am super excited for this one because I am joining forces with another team that I belong to, the MyGrafico Challenge Blog. So, let's get started and I'll tell you all about the challenge along the way. Here's the sketch we'll be working with. This is meant for a long card that will fit a #10 business size envelope. General measurements are 7 1/2" x 8 1/2" for a finished card that measures 3 3/4" x 8 1/2" - your card doesn't have to be this size to enter. In fact, I'd love to see someone re-proportion this size to be a standard size card. 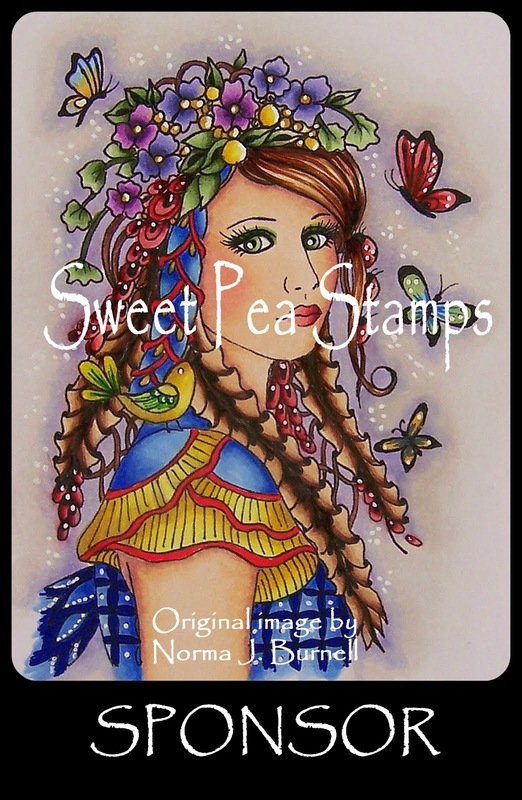 Our first card is from our Featured Stamper, Gini Cagle. 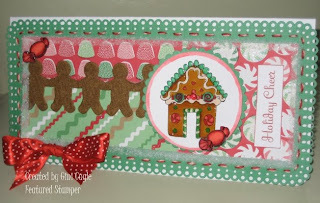 What a yummy gingerbread house image and I love the felt gingerbread men that she used as one of the panels on the sketch. 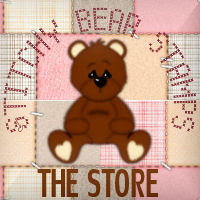 This image can be found here, it's part of an adorable set that is perfect for Christmas cards or gift tags. This is Sheri's card and it's so beautiful. 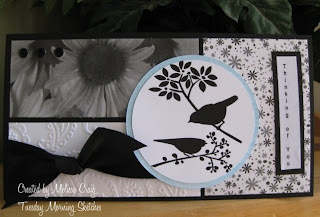 Black and white cards are so elegant and this is just perfect for a Sympathy card - so classy! 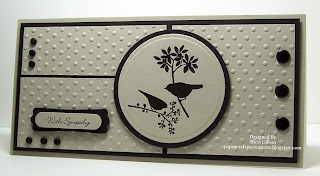 All the embossing is just the right texture for this card, too. 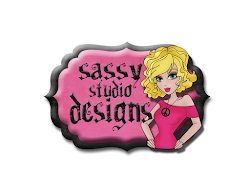 This image is freebie at MyGrafico and you can get it here. Next up is Joni's card and it's another simple and very elegant card. The black and yellow really compliment each other and the dp is perfect. 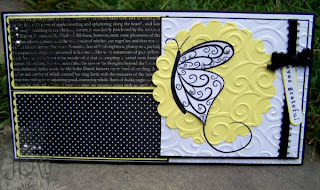 The embossing just adds so much texture and beauty. Tammy's card uses an adorable image from The Greeting Farm and there is so much pattern and color going on that it just makes you smile and feel all happy inside! 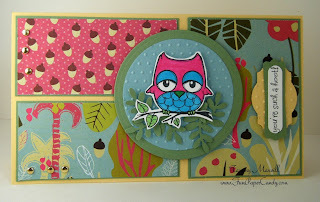 Theresa used a very lovely image from Inkadinkadoo - I think it's very eclectic and very cool! The Fall colors are so warm and inviting and all the bling. Such a cool card! Finally here is my card. I used the same image that Sheri did and I really like when this happens because then we're able to share with you the versatility in these images. I used a mat stack that I've had for a long time and I love the b/w options that were open to me. I used the paisley embossing folder and twill ribbon to add texture and then matted the focal point to a bit of light blue to set it off just slightly. Do you want to see what you're playing for? Here is the adorable set I have sitting here waiting for the lucky random winner. 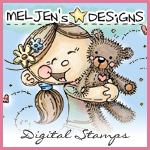 I LOVE this digi-stamp set. I've been trying to convince the girls at the MYG challenge blog that we need to use this one and so far they've not taken me up on it, so when Burca at MyGrafico asked me what I wanted for the prize - this one got picked! Love it!! 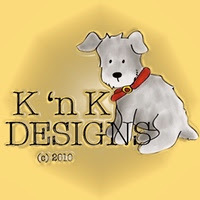 Now here's what you have to do... go make a card or project with the sketch and then come back here and link it up in Mr. Linky and leave a comment. 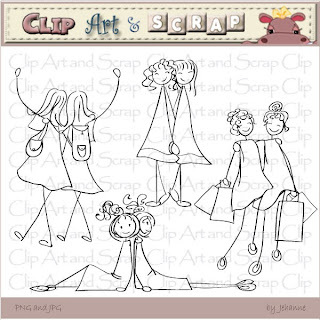 Then you go on over to the MyGrafico Challenge Blog and link up there, too, for a chance to win a different set. Double chances!! Whoo-hoo!! Be sure to check out Martha and the team's samples they have for you for inspiration - you're sure to get those creative juices flowing! These are all beautiful cards. I can't wait to play along with this sketch. OMG this sketch if FAB Melissa! Gonna get to working on my card! :) Wonderful work by the DT too! Love it! Wow! The dt's cards are all amazing! Another great sketch Mel! Will definitely have to do this one. Love the sketch .. this is a must try for me. Awesome cards from all the DT ladies! Great sketch, Melissa! I rotated it and used it on a large tag; I definitely want to try it in this orientation, too!! fun sketch again melissa thanks! Great sketch this week Mel. Im so glad I finally got to play along. Got to play with this delicious sketch last night and love it! :D I linked my card already! Thanks Melissa! Love all the beautiful cards by the DT...thank you for all the inspiration!! Again, fun sketch and beautiful samples by the DT! I choose to embellish minimally to let the image and lovely papers take center stage! Thanks for the fun sketch Mel! I made sure I played with this one. I rotated it to fit the image since I was limited to the size. But still like how it turned out. What a challenging sketch for me! But I got it done! Thanks for the challenge Melissa. I posted on Mr. Linky and at PCP with a TMS13 tag. I hope to play again! This challenge is now closed (a bit late - I was watching a movie with my kids). Thank you to everyone who participated. See you tomorrow for the winner and sponsor announcement.